Link building tactics are the part of an SEO professional. SEO’s focused too much on building backlinks and consider them as the backbone of any SEO strategy. SEO experts have proved that links will always be on of the most important ranking factors. When building quality links for your website or blog, most of the times you are also attracting some bad links. You know what happens when you earn a bad link? It will hurt the reputation of your blog or website. Google algorithm can punish your blog or site for bad links. This means that your link building tactics can make you fall in Google jail. Google has declared that they can easily ignore the bad links but still they penalize your blog or website if you keep on earning low quality links. Today I will share the top 10 types of poor quality links that can invite Google to beat your site. Also, find out how you can fix them. There are tons of automatic link building tools available online. But, they are no longer effective. If you are still using them then you are only wasting your time and money. Automatic link building tools can only drive you blog or site in the path that leads to penalties. I never recommend using bots. When it comes to build links, the best thing is to maintain a clean link profile. Blog commenting introduced to collect queries, suggestions and questions from the visitors. But, SEO;s has started manipulating blog comments to build links. This is a really bad SEO practice. Spammy blog commenting is the reason behind the origin of Nofollow links. Nofollow was introduced to lower the comment spamming. The best way to use commenting section is to leave only highly relevant comments. Directory submission was super popular long ago. SEOs have used directories to manipulate links easily. But, in past few years Google has taken strict action against low quality directories. Low quality directories can easily destroy the ranking. But, if you still want to use directories to submit your site then use only highly targeted and relevant directories. Building links from forums is not entirely bad practice. It can only be bad when you start getting links from low quality or spammy forums where users can easily manipulate the links. If you are getting tons of links from low quality foreign discussion forums then should disavow them. Spammy links can only harm the reputation of your site. Back in the days building links through press release was one of the most popular link building tactics. It was super easy to get links from press releases. All you need was to write a press release about the product or service and get it published on thousands of press release sites. This helps you easily get tons of backlinks in no time. But like old SEO habits, people start abusing this SEO link building tactics. Google call press release a bad link acheme because SEO’s can easily manipulate it. I always recommend you to avoid press release link building tactic. Mostly ignore them if you are falling for over optimized anchor text. Never use this practice to build links for your main keyword. If still due to any reason you need to have links from press distribution sites then use naked links. Using branded urls and naked links is a better way to use in press release. It is super easy to manipulate links in foreign guestbooks. Most of the times people build such links using bots or place them manually on foreign guestbooks. These can cause drop in ranking. Use disavow tool to get rid of such links. You cannot fool Google and that is the truth. If you still think that you can randomize link building to go undetected then you are still dreaming. Google has far better algorithms then any of the automated link building program. There is no way that you can randomized your links that Google can’t detect. Even if you are nofollowing the link, still you are leaving footprints. 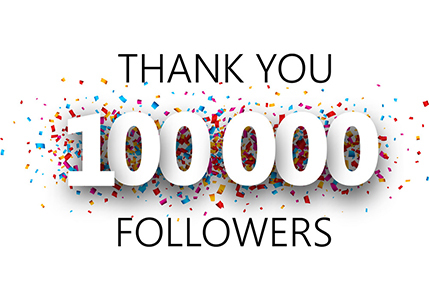 Thousands of random nofollow links are easy way to detect spammy link building tactics. Understand the dofollow nofollow basics. Google is strictly against PBNs. There was a time when it was easy to randomize your link building using PBNs. But things have changed. You may be thinking that still you can gain something, but it will not work for long time. No matter how big or how good PBN you are using Google will detect it and beat the site like anything. Google consider social bookmarking as the way to manipulate links. Too much social bookmarking can cause trouble for your site and ranking. That is the reason why many popular social bookmarking sites went down, such as Stumbleupon. It is super easily to manipulate links in social bookmarking sites but Google consider it the bad link scheme. People are using freelance service like Fiverr and it’s alternatives to find the opportunities to build links. This is the really bad practice as Google can easily detect the bad links. Google can also use some process to identify the most commonly used link building practices. There are chances that the person you are talking with to build links can be a Googler. How to maintain a clean link profile? Stop using outdated SEO practices of link building. Always keep a clean link profile. 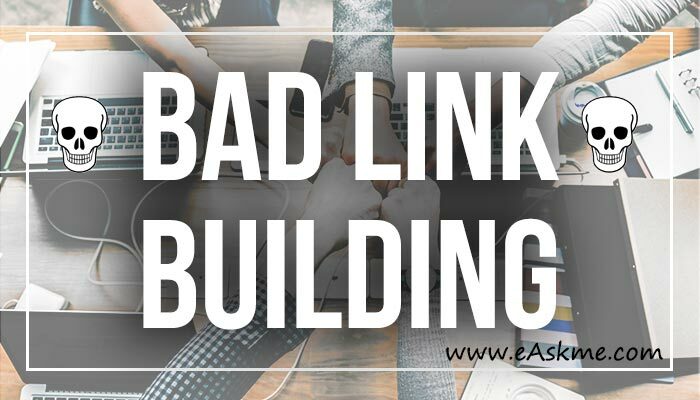 Avoid these links building tactics and you can save your site or blog from google penalties and improve your rankings.